Kangana has been in the news lately. From the various conflicts of her latest movie, Manikarnika to calling out actors for being apolitical, she has voiced her opinion. But on her birthday on March 23rd, Kangana Ranaut announced her new project. She is going to be a part of the biopic and will step into the shoes of former Tamil Nadu CM and veteran actress Jayalalitha. She was fondly referred to as ‘Puratchi Thalaivi’, which means ‘revolutionary leader’. 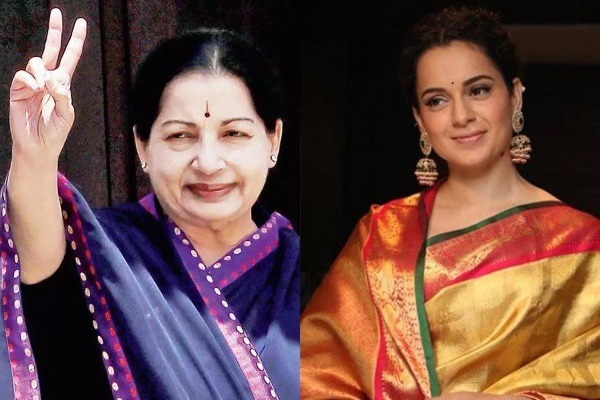 The movie will be bilingual and are titled “Thalaivi” in Tamil and “Jaya” in Hindi. The film is being directed by one of the leading filmmakers from South, A.L. Vijay. The director has made landmark films like Madradapattinam and Deiva Thirumagal. Talking about the remuneration, Kangana Ranaut has been offered a hefty amount, which upon knowing will leave your mouth wide open. According to sources, Kangana is paid bomb Rs 24 Crore, which will eventually make her the highest paid actress of country. Kangana was last seen in Manikarnika: The Queen of Jhansi which was a biopic of Rani Laxmibai. She is also working on a biopic of herself.